Each of the last 4 years, the Friday before Thanksgiving, my company has a rousing, lunch hour game of flag football to raise money for a worthy cause. Past games has sent money to Children’s Hospital, a soup kitchen, and Scottish Rite. Hospital. This year our money goes to the family of a co-worker that unexpectedly passed away a few weeks ago. 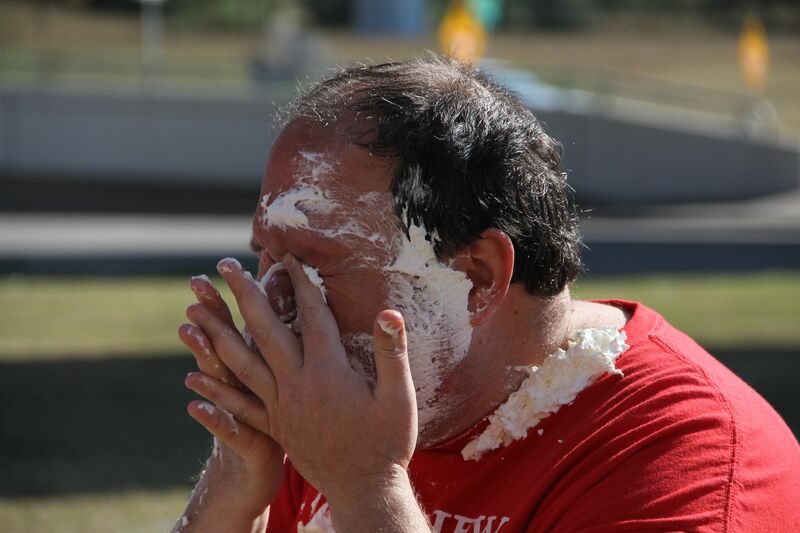 Whipped cream pies-in-the-face always end to this day of fundraising. 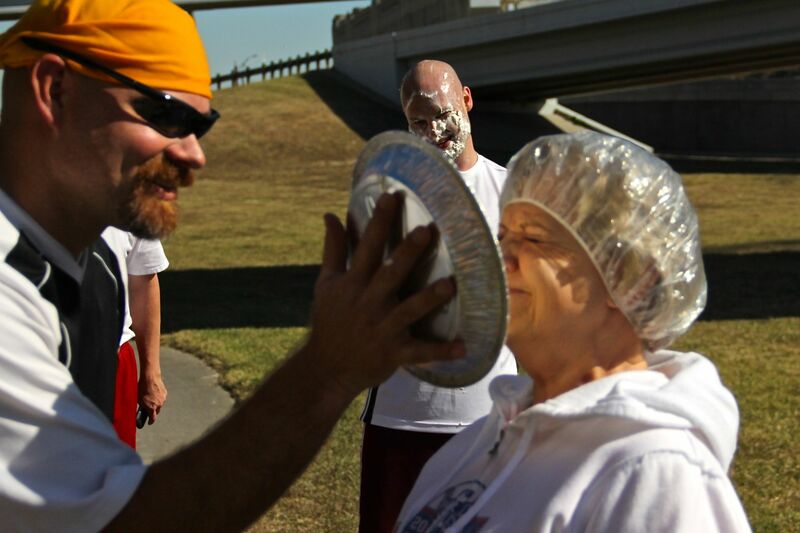 Ryan, this year’s event coordinator, gets a pie-beard (and foil cap)…. 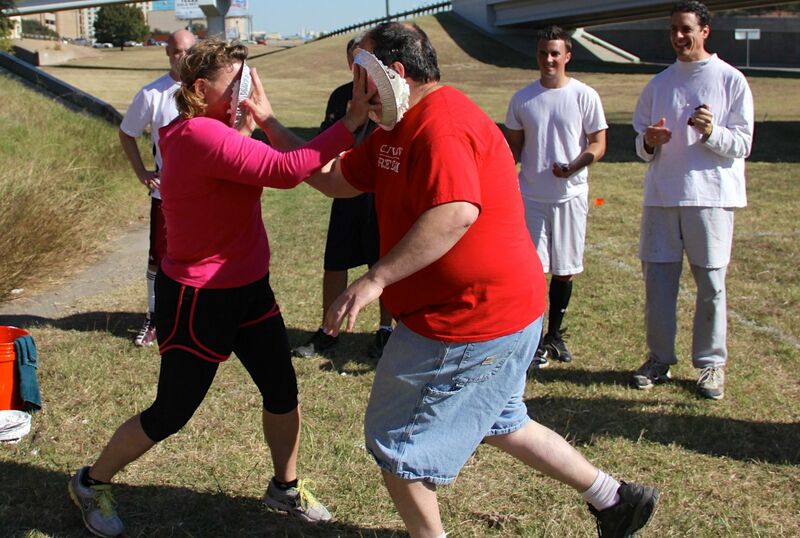 Newlywed Andrew catches one square in the chops…. For some, the pie comes to them…for others, they go to the pie. 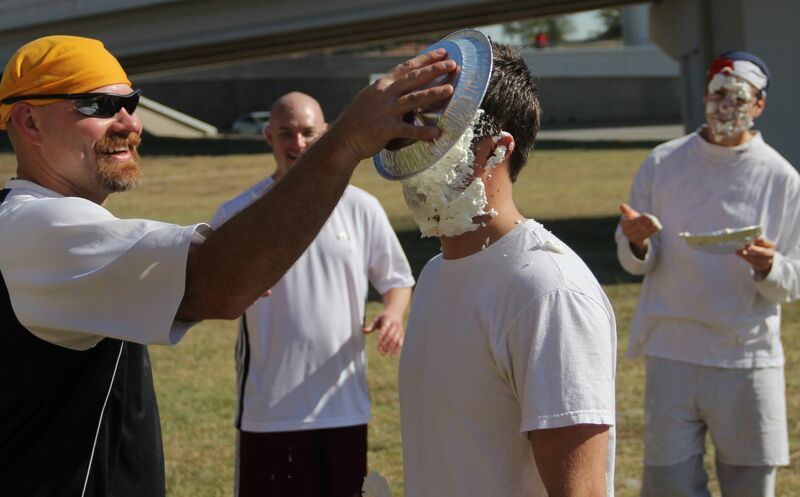 It’s maybe only once a year that a boss catches a pie to the face and grins about it…. 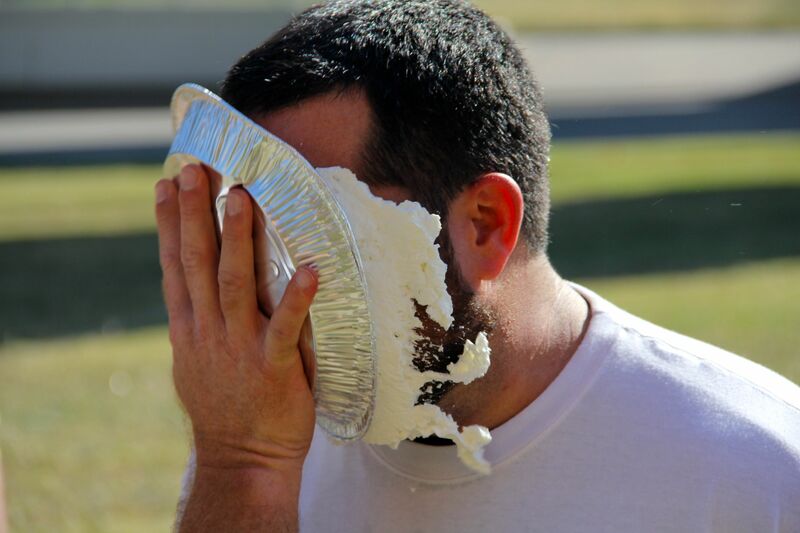 Austin was a real trooper here – he took this pie to the chops for his dad…. 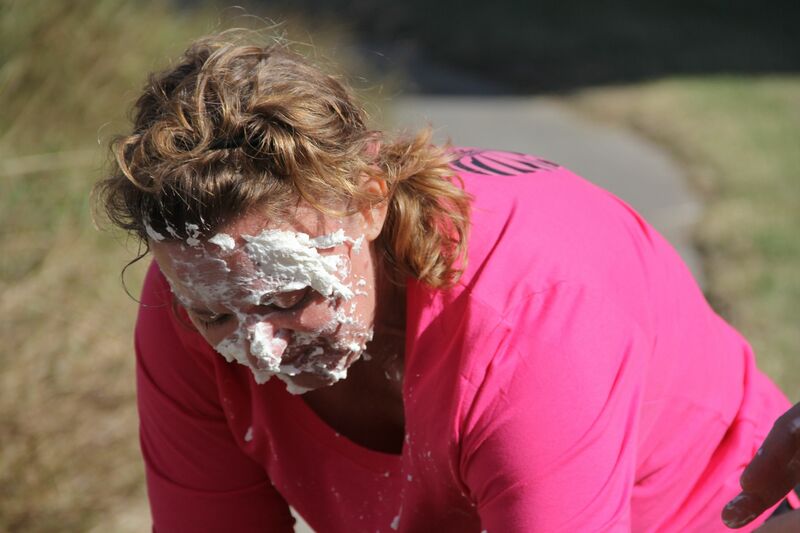 Perhaps my favorite: a double pie smack to and from Kips and Angela…. Kips wipes away the cream…. Angela searches for a wash rag…. 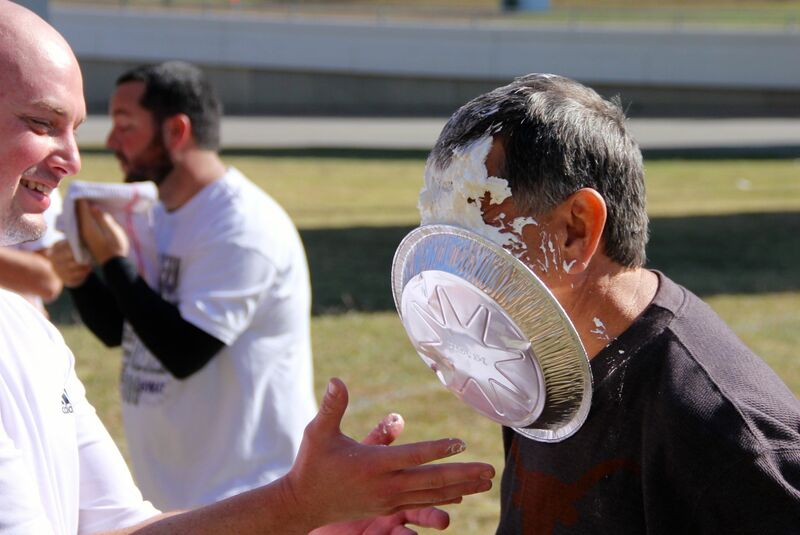 Raymond’s Texas Longhorn shirt was just asking for it….$3000+ was raised for Tommy’s family. 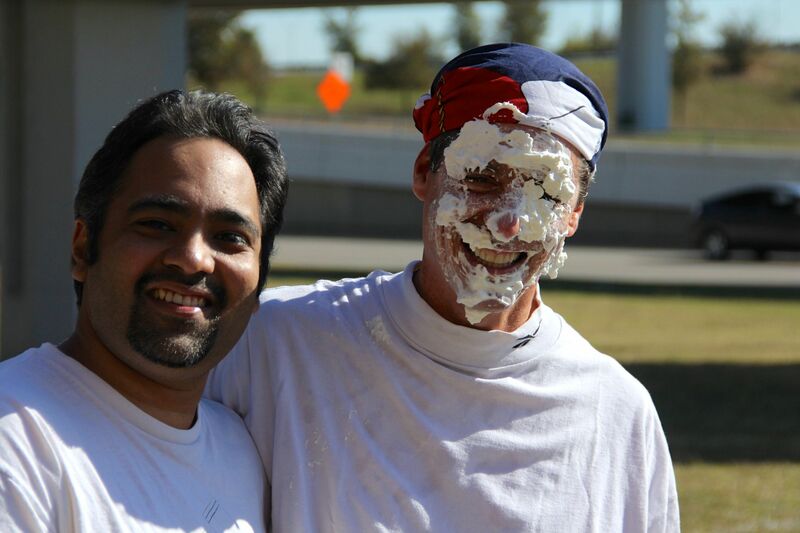 Great company event, gracious contributions from the employees. Can’t wait for the Christmas party now!